After taking a trip to La Vallée Village in Paris years ago during a family vacation and falling in love with it, I was stoked to hear that the ultra chic shopping experience was branching out into Ireland. Clearly Kildare Village has been open for awhile now but I think it's still a little bit of an undiscovered gem to some - queue todays blog post! I think most of us are fairly au fait with the outlet phenomenon by now - designer buys at discount prices. What more can a girl ask for? But taking women out of the equation, with up to 60 brands, there is literally something for everyone here. For guys you have everything from Hugo Boss to Ted Baker and All Saints. For all your sports needs, the village houses Nike, Quicksilver and North Face. The kids section in Tommy Hillfiger is especially adorable. And for us gals, among my favourite haunts are, again, All Saints (make sure to check out the ridiculously good deals on their embellished dresses in particular), Anya Hindmarch (for the most gorgeous clutches, handbags, suitcases and everything in between) and Calvin Klein Underwear (nuff' said). Other places I suggest you check out are Jack Wills, Juicy Couture and Links of London! Needless to say, every time I visit Kildare Village I'm reminded of my Parisienne shopping experience, almost waiting for the smell of freshly baked croissants and coffee. The plan is almost exactly the same, with its quaint cobble stone 'streets' and tres chic chalet style buildings. Equally as beautiful in the Winter and Summer periods, for a shopping area, it is ridiculously chilled - no manic crowds a la Dundrum Shopping Centre or Grafton Street. In the Summertime there are ample amounts of benched seating areas for you to basque in the sun mid shopping jaunt! It is just straight up, a really, really lovely place! I couldn't leave this post without mentioning food.. I love me some yummy goodness. Kildare Village hasn't got a huge variety of eateries, but what it has got suits me just fine! Firstly you've got Dunne and Crescenzi's delish Italian food! Hello, when is pizza and pasta not a good idea? lol. And then you've got Starbucks, but who doesn't love a good Starbucks coffee?? I'm not sure if it's open all year around, but on my last trip, there was a cool stand out front that sold crepes and waffles (the thought of the smell of waffles right now!). 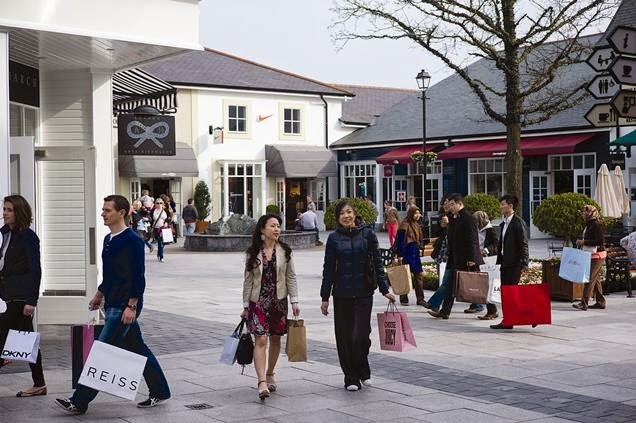 One warning if you're paying Kildare Village a visit, do be aware that the shopping village is outdoors - so there is always a risk of rain, so remember your umbrellas! You are in Ireland after all, it's a bit of a given! Also keep checking out their website, they're constantly updating it with new offers! Have you visited Kildare Village? Have you got a branch of the chic outlet shopping villages near you? 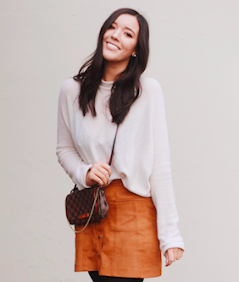 What do you think of outlet shopping? Sound off in the comments!